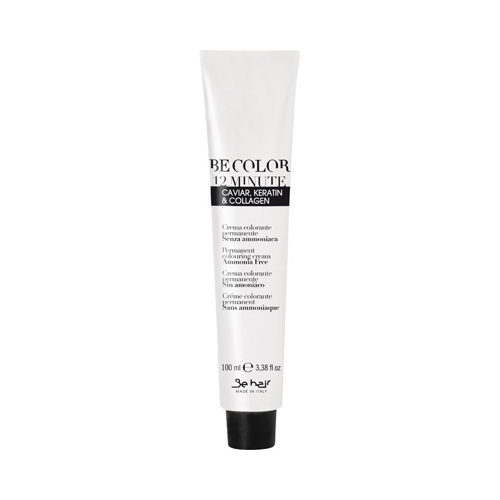 No ammonia and no parafenilendiammina-with caviar , keratin , and , BE collagen COLOR the exclusive and valuable professional permanent colour cream nonprogressive Flash without ammonia and without Parafenilendiammina. Ensures maximum coverage of white hair in full respect of the scalp and the hair fiber. His non-progressive action guarantees total and balanced coverage of white hair without creating any overload of pigment. Thanks to its unique formulation unleashes all his strength and reflection intensity in just 12 minutes. The excellent action of caviar , collagen & keratin rich in Omega-3 fatty acids is amino acids and proteins is effective and indispensable in combating aging of the hair , environmental and chemical stress and to improve the general appearance of the hair. The special combination of active ingredients revitalises the hair texture and fiber reinforcing life back , helps to replenish lost nutrients. 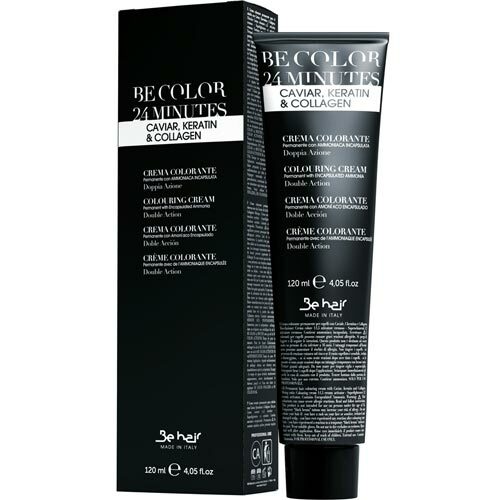 shades: BE COLOR 12 MINUTE is available in 47 nuances. directions for use: mixing ratios 1: 1 for the traditional coloration , 1: 1 , 5 for use with super lightening and how light bath. The shutter speeds can vary from a minimum of 12 minutes up to a maximum of 24 minutes (superlift).